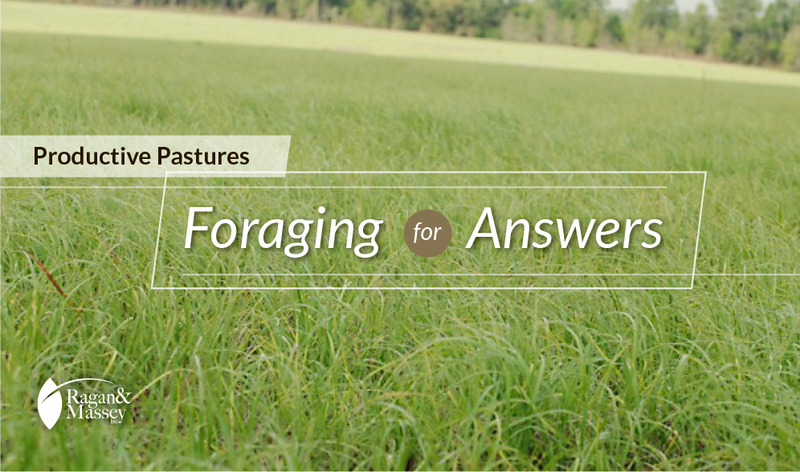 Dr. Ann Blount, forage specialist at the University of Florida, offers some additional advice for selecting forage, most notably Bermudagrass and bahiagrass, that’s right for your property. With sufficient moisture or irrigation, you can use cultivated or overseeding systems to stack different kinds of forages and provide year-round pasture. Cultivated land can be excellent for winter annual forages like oats, ryegrass, millet, clay pea, brown midrib sorghum and sorghum sudangrass until perennials like forage peanuts, bahiagrass and Bermudagrass come out of dormancy. You can then move the animals to summer annual pasture. Blount developed UF Riata bahiagrass, a cool-season spring and fall perennial grass which is the highest yielding and most disease-resistant bahiagrass currently on the market for Florida and the Coastal Plains. UF Riata produces nearly twice as much forage as Pensacola bahiagrass, from which it was derived. But just like other bahiagrass varieties such as Tifton 9 and Tifquik, UF Riata does not like to be overgrazed. So proper management with rotational grazing is important. Lists of forage varieties and characteristics are available from the University of Florida and University of Georgia.